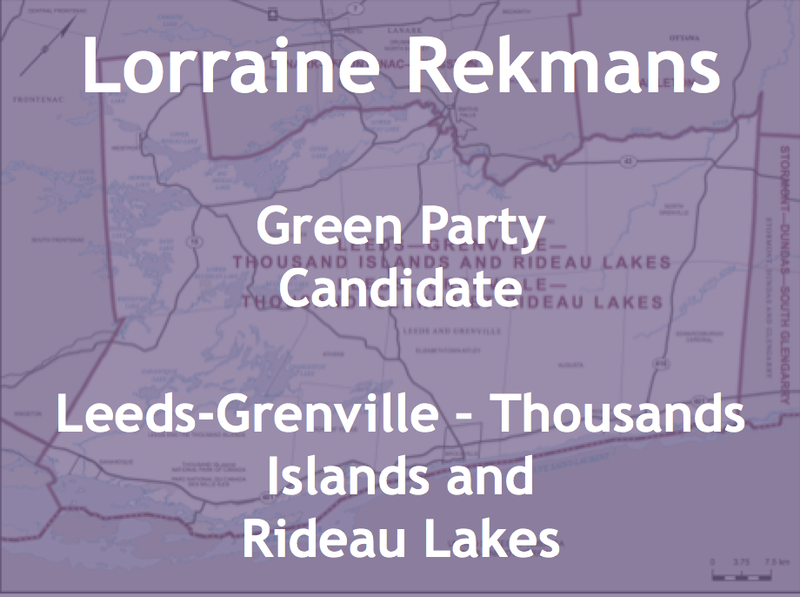 Lorraine Rekmans is Algonquin and is the Green Party of Canada’s candidate for Leeds-Grenville – Thousand Islands and Rideau Lakes. 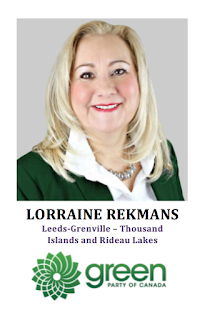 -Lorraine has been actively involved with the Green Party for many years. She current sits in the Green shadow cabinet as Indigenous Affairs Critic. 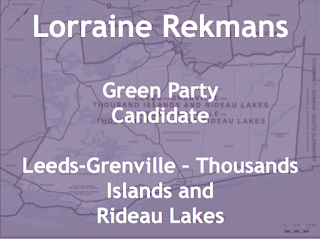 She was a previous Green party candidate for Algoma-Manitoulin-Kapuskasing. - She has an extensive background in working in environmental programs, including policy development and engaging Indigenous communities. 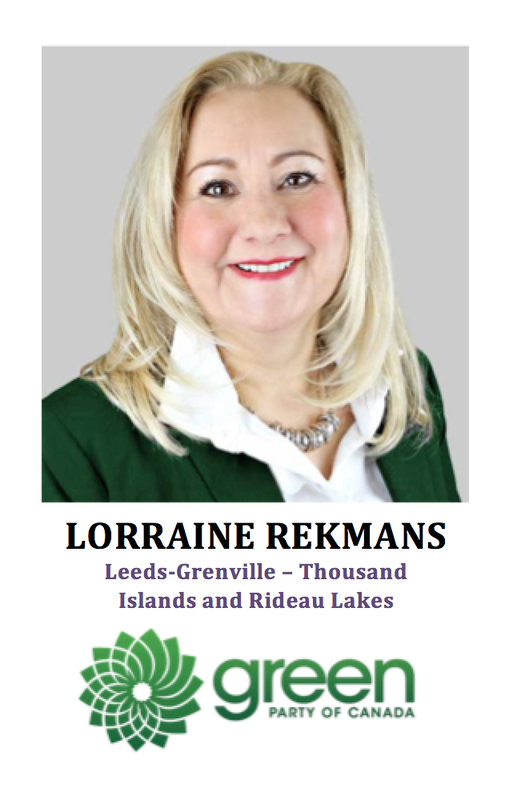 Lorraine previously served as the Executive Director of the National Aboriginal Forestry Association. She was involved in setting up local forestry enterprises and in developing the first Aboriginal-owned forestry marketing co-operative in Canada. - Lorraine co-chaired an international dialogue at the UN Forum on Forests. She assisted in writing the Indigenous People’s Declaration on Forestry that was submitted to the World Forestry Congress. - She is also an entrepreneur with Rekmans Automotive Inc. and Rekmans Consulting as a Mediator and Negotiator. 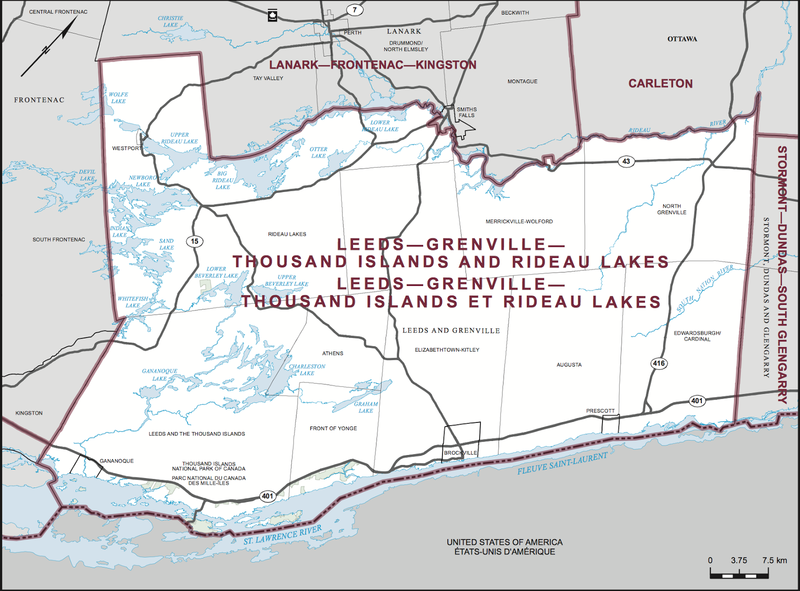 - The riding is located in southeast Ontario which southern boundary is the St. Lawrence River bordering New York state. 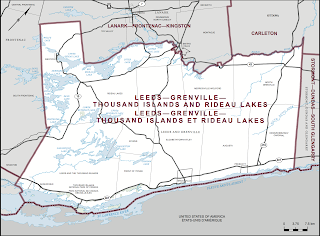 - Formerly known as Leeds-Grenville, the riding has lost a small portion to Lanark-Frotenac-Kingston. - The riding has a history of electing Conservative (&PC) and Liberal MPs. The Green Party’s best showing was in 2008 where they captured almost 10% of the riding vote. - The most current MP is Conservative Gord Brown and served as Co-Chair of the Canada-United States Inter-Parliamentary Group. 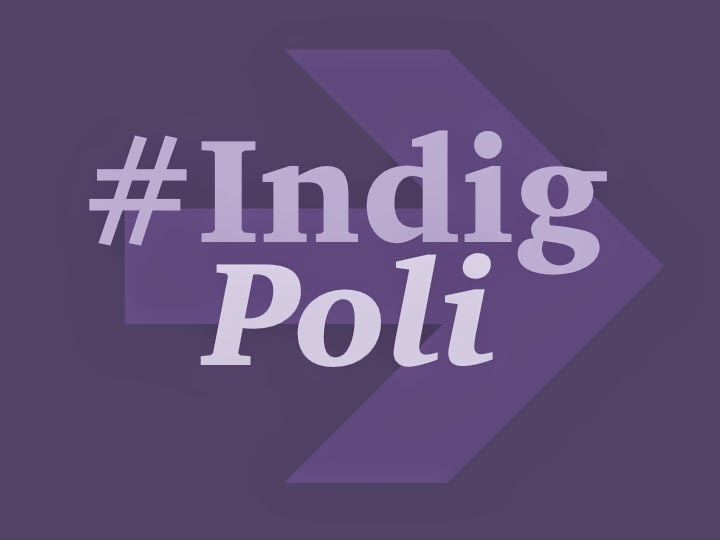 - The Aboriginal population of 2.6% of total Canadian citizen population in that riding.